Clip On Dip Bowls 3 Pc Set Only $4.99 Plus FREE Shipping! You are here: Home / Great Deals / Clip On Dip Bowls 3 Pc Set Only $4.99 Plus FREE Shipping! 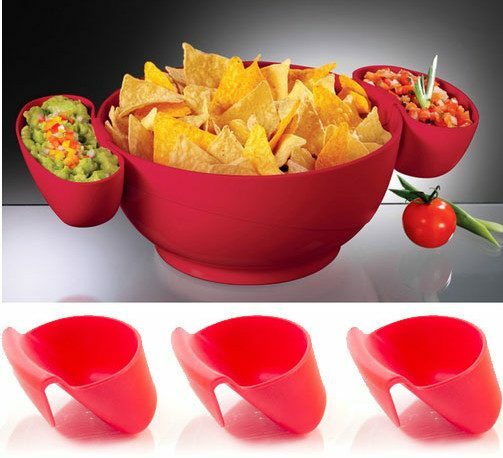 At your next party, keep your dip right with your chip bowl! These dip bowls clip right onto the side of your chip bowl to keep them where they belong, together! Slide them all onto one chip bowl or setup 3 different stations! Buy 2 and the price drops to just $3.99! Order the Clip On Dip Bowls 3 Pc Set for Only $4.99 Plus FREE Shipping!